Many American farmers are struggling economically, with farm incomes hitting a historic low this year. 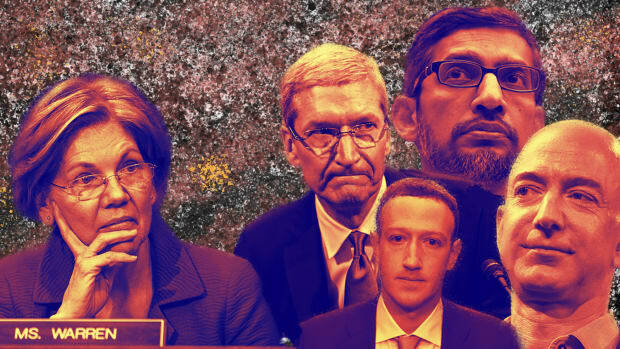 Massachusetts Senator Elizabeth Warren has already unveiled her plan to tackle big tech companies. On Wednesday, she released another proposal, this time going after corporate agriculture. In a proposal posted on Medium before her trip to Iowa, the Democratic presidential candidate outlined several reforms intended to "[level] the playing field for America&apos;s family farmers," many of whom have been staving off bankruptcy as farm incomes hit a historic low this year. "Farmers are caught in a vise, but the squeeze on family farms isn&apos;t inevitable," Warren&apos;s proposal reads. "It&apos;s because bad decisions in Washington have consistently favored the interests of multinational corporations and big business lobbyists over the interests of family farmers." Warren&apos;s plan calls for breaking up big agribusiness companies, rewriting merger rules, passing a national right-to-repair law, making checkoff programs optional, and establishing a mandatory country-of-origin label for beef and pork. Here, experts weigh in on how these reforms would work and the larger issues they address. In the first prong of her plan, Warren vows to "address consolidation in the agriculture sector." This includes weakening the largest agriculture companies, many of which have merged and expanded over the past few decades. 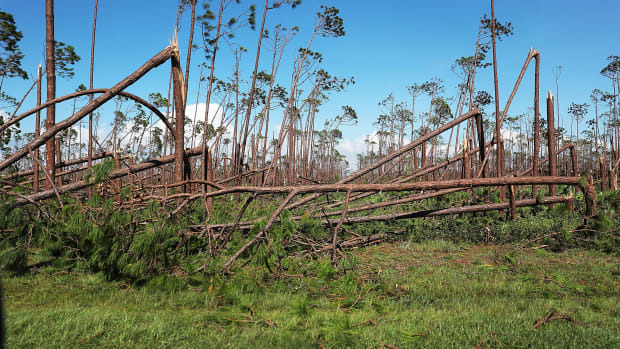 Warren proposes appointing trustbusters to reverse some of these mergers—specifically, Bayer-Monsanto, Dow-Dupont, and Syngenta-ChemChina—and amending Department of Justice guidelines on vertical mergers. 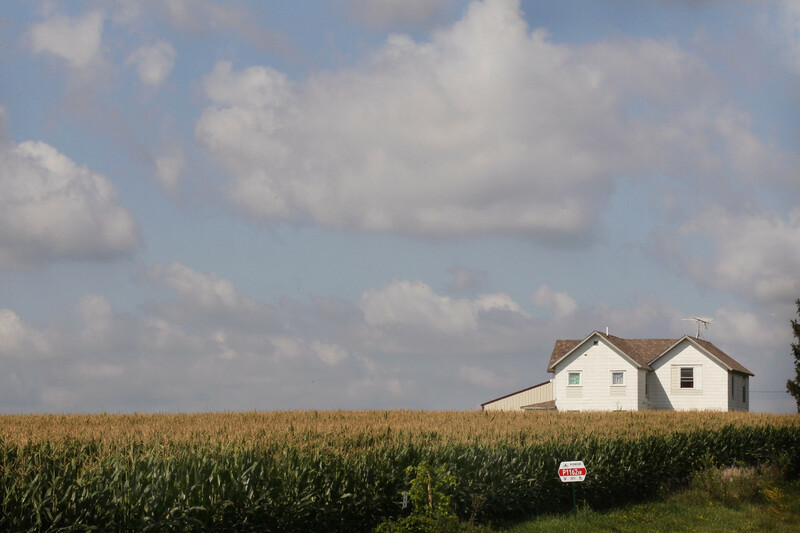 According to the United States Department of Agriculture, consolidation has shifted the majority of production—and the profits—to ever-larger farms. A 2018 Economic Research Service report found that more than half the value of U.S. farm production came from farms with at least $1 million in sales in 2015, compared to 31 percent in 1991. As Warren&apos;s plan notes, the Bayer-Monsanto merger is now expected to secure the company&apos;s monopoly on the vegetable seed market. Warren&apos;s proposal also takes aim at "abusive" contract farming in the livestock sector, which the authors of the 1990 political economy text Small Farmers, Big Business define as replacing or supplementing production by contracting some of the work to local farmers. Contract farming can protect small farmers from risk and open up new markets, but "sponsoring companies may be unreliable or exploit a monopoly position," according to a report from the United Nations&apos; Food and Agriculture Organization. The system is widely used in developing countries, as well as in the U.S. livestock industries, where the top meat-processing and seed companies have the majority of the market share. But Daniel Sumner, professor of agricultural and resource economics at the University of California–Davis, says going after contract farming won&apos;t necessarily address this exploitation. "The last thing a grape grower wants is to harvest their grapes and then see if they can sell them," he says. "They want a contract to sell their grapes." One point in Warren&apos;s plan is a clear nod to small farmers: making checkoff programs optional. Since the 1980s, federal law has required nearly every farmer in America to contribute to one of these programs, which help producers advertise and sell commodities. They&apos;re marketing funds, only mandatory—and the USDA serves as tax collector, gathering $750 million in checkoff funds a year. There&apos;s one for honey, for avocados, for eggs, and even popcorn, although meat and dairy are by far the biggest. Even though federal rules do not allow checkoffs to fund lobbying directly, the programs have a history of propping up industrial agriculture organizations that attack their vegan competitors. 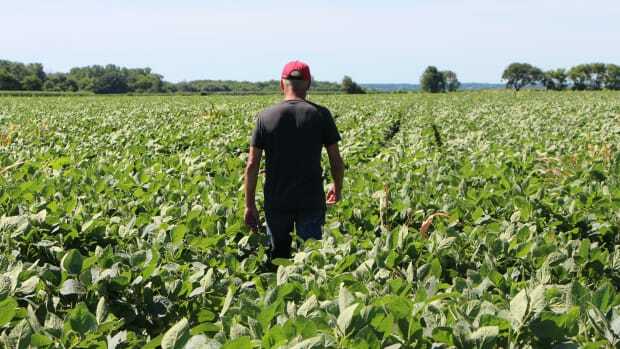 Some small farmers, who say these benefits go straight to corporate agriculture firms, have sued to get out of paying fees, but the USDA insists the checkoff "empowers businesses" large and small. Now, Warren has pledged support for legislation making the checkoff programs optional and strengthening anti-lobbying rules. Agriculture economist and Tufts University professor Parke Wilde notes that the USDA&apos;s role in the checkoffs, however minimal, presents a conflict of interest. "Once the government&apos;s involved, we have to be sure it&apos;s serving the public interest," he says. "At a time [when] dietary guidelines experts are recommending a diet fairly high in plant food, advertising more beef and pork has to be scrutinized for whether it meets our nutrition and food policy goals." As Pacific Standard has reported, large manufacturers have made it illegal for consumers to repair machinery like refrigerators or televisions on their own. For farmers, this has led to long delays and higher prices. According to The Repair Association, a "repair rights" organization, supporters of expanding the right to repair include the American Farm Bureau Federation. Both groups argue that farmers in remote and rural areas without repair shops miss out on crop targets when they can&apos;t fix something with a tech part: an irrigation sensor, a water pump, HVAC equipment. Meanwhile, large manufacturing companies like John Deere say the prohibition is necessary for safety. "Farmers have a very distinct problem: When something breaks down, they need to be able to fix it right away," says Gay Gordon-Byrne, executive director of The Repair Association. "When the manufacturer is the only source to repair, they can charge whatever they want. They can also drag their feet," often by prioritizing clients who buy a lot from their company. Warren promises to fix this with a national right-to-repair law, allowing farmers to fix equipment without going to an authorized agent. This is one of the first times a candidate for major office has included this in a platform, according to Gordon-Byrne. "My jaw dropped," she says. While recent efforts on repair have focused on state law, Gordon-Byrne believes a national standard or law could have widespread support—even among the large companies Warren has targeted. "You&apos;ve got the small, organic, somewhat liberal farmers, with the larger agribusiness commercial farmers all on the same page," Gordon-Byrne says. Proponents of country-of-origin labels say they would give American producers a leg up on those in Canada and Mexico, but the World Trade Organization has repeatedly contested these rules—and won. Warren&apos;s proposal argues that, since Congress repealed the rule in 2015, the lack of a label has misled American consumers who might believe they&apos;re buying locally sourced meat. 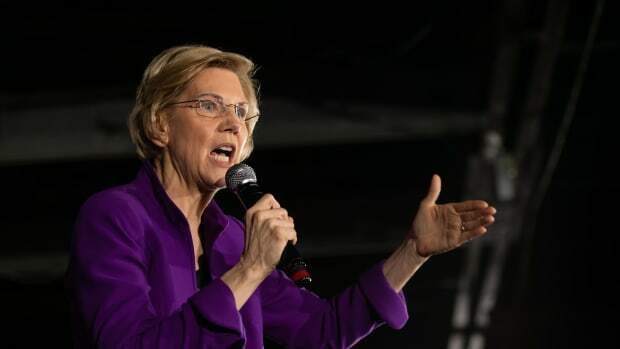 Warren says that, as president, she&apos;d "push hard for new country-of-origin rules for beef and pork" and restrict foreign ownership of American companies and farmland. The reality is more complicated: Although these rules are often justified on the basis of "right to know" arguments for consumers, experts say there&apos;s little demand for them. Moreover, they function as "a form of protectionism" and a "non-tariff barrier to trade," according to one UC–Davis report. Previous estimates said these rules could cost domestic producers and retailers up to $2 billion annually, forcing some products off the shelves. Daniel Sumner, professor of agricultural and resource economics at UC–Davis, who advised the World Trade Organization in its dispute with lobbyists for U.S. cow calf operators, said the plank takes an "anti-foreigner stance." "This is sort of right-wing meets the left-wing," he says. On top of that, he says American producers ultimately lose out: "It&apos;s sort of like a version of [President Donald] Trump&apos;s steel tariffs. It makes zero economic sense for all the obvious reasons."